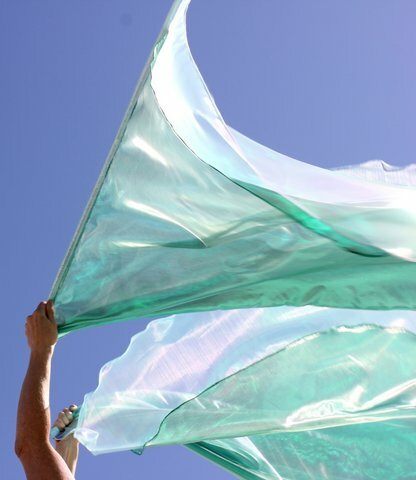 "Praise" Banner Double Layer Worship Flags Green & Iridescent Sheer Blue with Flex Set of 2 - This is a beautiful set with the outer layer larger than the inner layer. 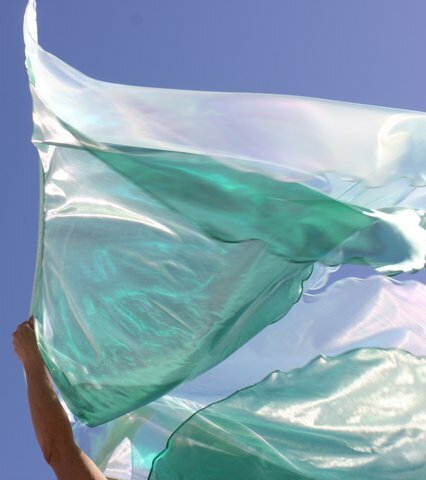 These flags are set on opposite sides so the inner side is the sheer green and the outer layer is the iridescent sheer blue. Praise!